The 2017 Limited Editions continue to drop, and retailers continue to clear out their closets from last year. I'm going to go ahead and release this week's Deals and Drops a day early, since there are a lot of "only one left" type sales and some deeper discounts that might go fast, especially on the This Is Ground products from Huckberry. If you've been on the fence about any of these, now would be the time to buy. Pelikan M101N Bright Red Fountain Pen (via Pen Chalet). The latest Pelikan M101N has dropped, which comes in a bright red acrylic with orange undertones. A beautiful looking pen. Pelikan Edelstein Smoky Quartz (via Pen Chalet). Pelikan's latest ink of the year is now available. Smoky Quartz looks like a rich brown. 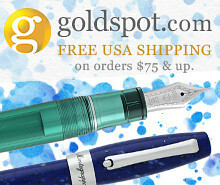 Platinum 3776 Nice Lilas Fountain Pen (via Pen Chalet). The newest pen in Platinum's "Nice" series has dropped, and it's very ... pink, with rose gold trim. If that's your thing, you don't want to miss this one. 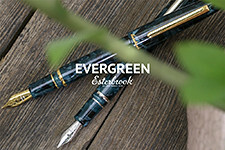 Conklin Mark Twain Crescent Fillers on Sale (via Pen Chalet). Ron is offering some good prices both on the demonstrator version and the standard black with gold trim. Check out my review of this unique pen here. 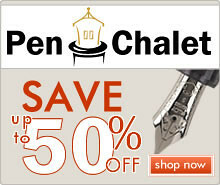 Visconti Opera Metal on sale (via Pen Chalet). One left at 40% off! Delta Vintage in Ruby Red (via Pen Chalet). One left at 40% off! Caran d'Ache Leman in Blue Night Matte (via Pen Chalet). One left at 40% off! 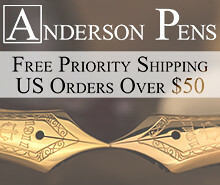 New Writing Outlet Offerings from Anderson Pens (via Anderson Pens). 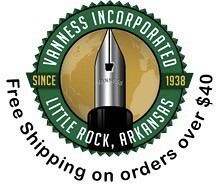 Lots of pens have been added to the Anderson Pens Outlet, including many Sheaffers, pens from Hugo Boss, and some Faber-Castells. Loose Tomoe River Paper (via Amazon). Amazon is now selling packages of loose Tomoe River Paper, including in A4 sizing. Prime eligible. Hobonichi Memo Pad Set Set for A6 Planner (via Amazon). Expand the extra pages at the back of your Hobonichi. Taroko Design Tomoe River A5 Graph Notebook 2-Pack (via Amazon). The Tomoe River paper offerings are expanding significantly. Taroko Design Tomoe River A5 Ruled Notebook 2-Pack (via Amazon). Taroko Design Tomoe River Graph Notebook 2-Pack for Midori Traveler's Notebook. 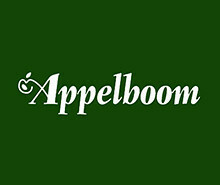 Mod Tablet 3 with Tile (via Huckberry). The Mod 3 Tablet organizer from This Is Ground is on sale now at Huckberry for $260, which is one of the lowest prices I've seen it at. Now would be the time if you've been on the fence. Leatherback Writer (via Huckberry). 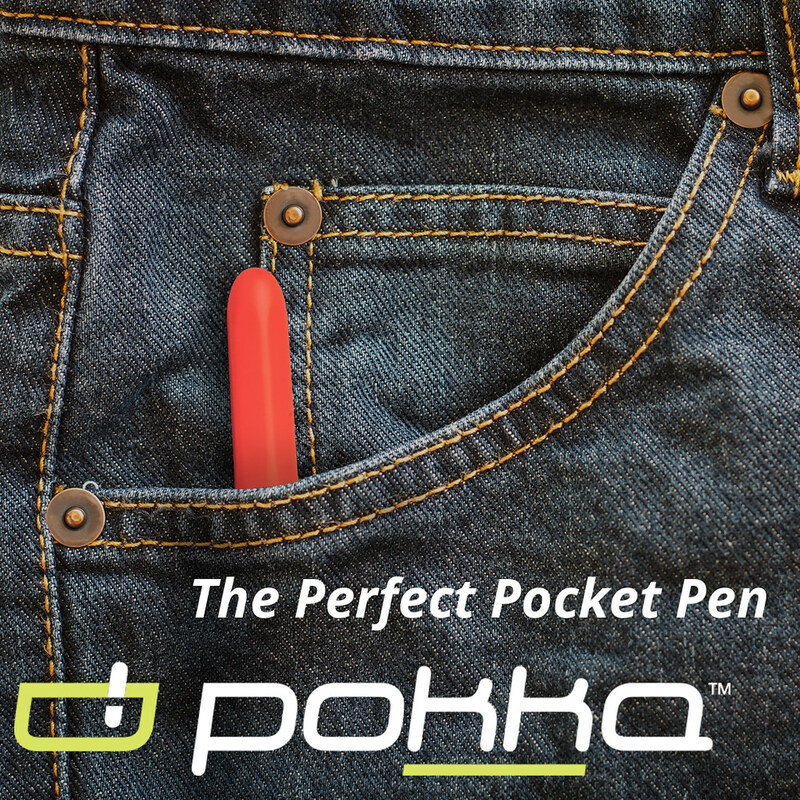 This is Ground's leather pocket-notebook-and-pen wallet is on sale for $75. iLoveHandles Desk Accessories (via Huckberry). Looking for some cool minimalist desk accessories, including iPhone docks, picture frames, tape dispensers, bookends, and, yes, pen holders? 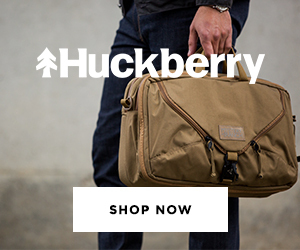 Check out these current offerings over at Huckberry. Disclaimer: This post contains affiliate links. Availability and pricing is current as of the time of publication of this review, but is subject to change.